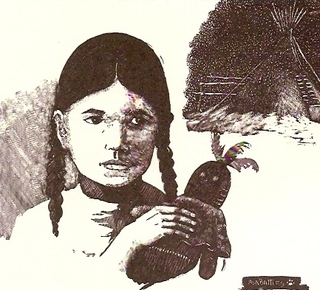 "Waheenee's memories were of warmth and love, of her father's voice singing her to sleep by the firelight, of the affection of her natural mother. . .She cherished the doll her grandmother, Turtle, had made for her from a long green-striped squash. 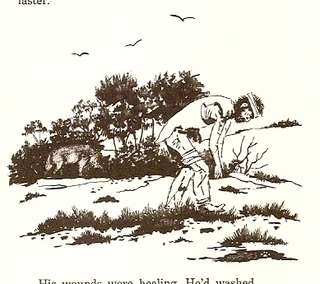 She took care to keep it carefully wrapped..."
"Snow had hit before the lodges were even well-covered with earth, and with it came their recurring curse, the smallpox. Almost before she knew what was happening, Waheenee had lost her brother, one of her aunts, and her mother. A winter lodge had never seemed more dark and cold." "As the corn ripened they spent the days there, for the Hidtsa believed they should nuture their corn as their children, that the souls of the plants enjoyed their songs. Waheenee couldn't imagine anything ever tasting sweeter than the mess of green corn and beans they boiled in the cool morning air." "Glass had hate to fuel his furnace and a mind he could focus on his next immediate need. The next step, the next drink, the next mouthful of food. 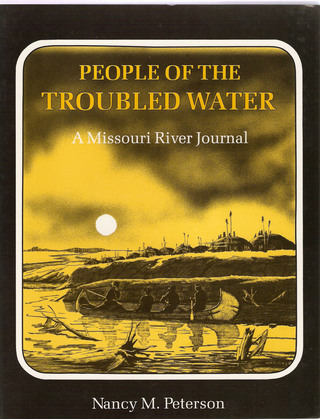 . ."
Nancy Peterson's book, expertly illustrated by Asa Battles, is a remarkable history of the Missouri River. Its singulaarity rests on the accuracy of the historical account being told in an unusually gripping style. This book is the perfect addition to the libary of anyone interested in the history of the West. It is well-written, well-illustrated, and, unlike some history books, is a joy to read! One day when she was eight, she went out to a mysterious little tipi her grandmother had built and discovered one of their dogs had given birth to a litter of puppies. She was allowed to choose one for her own and she loved him dearly, but she discovered he had to be more than a pet. When the pups were ten days old Turtle took them into the lodge and, one at a time, held them in the thick smoke of a green sage fire. The puppies struggled and choked but Turtle assured her it would make them eat meat. Then she held each one in the air and let go. If they held their feet on landing they’d grow up strong enough to pull a loaded travois and would be kept. Waheenee held her breath as her pup, Sheepeesha, dropped to the earth. Though he was still choking from the smoke, his legs stiffened and held. He had met the test. Two years later she trained him to pull the travois. Feeling very grown up, she hurried to the lodge door with her first load of firewood. She was old enough now to do her share. Daily she fetched water from the river in a bucket made of a buffalo heart skin or in a clay pot. 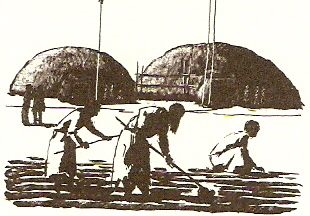 The Hidatsa liked the Missouri’s water, finding it cool and sweet after the mud had been allowed to settle. It had quenched their fathers’ and grandfathers’ thirst and it satisfied theirs. She learned to cook and to sew with an awl and sinew, to embroider with dyed quills of porcupines or gulls, to scrape and dress hides until they were soft and pliable. But best of all she liked to go to the cornfields at planting time and later in the summer, when the ears began to head and the crows became a real menace to the crop. Then Waheenee and her sister, Cold Medicine, could provide needed help. Their mothers built a platform in the field where they could sit and look out over the crop and watch and sing. 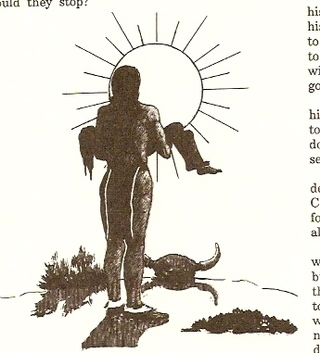 For two weeks or so as the corn ripened they spent the days there, for the Hidatsa believed they should nurture their corn as their children, that the souls of the plants enjoyed their songs. Shaded by a small elm tree, they guarded the fields against birds, horses and their small brothers, who loved the green ears. Turtle made a small arbor of willows at the side of the field, where they cooked their meals. Often they were there in time for a sunrise breakfast. Waheenee couldn’t imagine ever tasting anything sweeter than the mass of green corn and beans they boiled in the cool morning air. Nor could she imagine a better world. The meadow larks were singing. The rays of the sun were slanting over the bluff top and bathing their field in glowing amber. The gods were good. "This is indeed a unique, colorful yet factual and well-documented presentation that will immediately capture the attenthion of the professional historian, general reader, or history buff. It is very readable and flows easily as one gets swept up in the events related in each narrative. 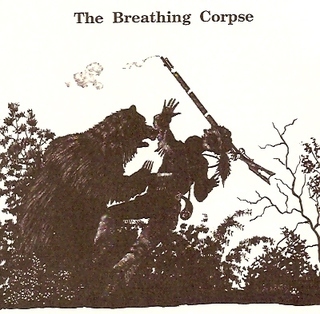 Reduced to nine able-bodied men, needing food but aware that attracting a war party could be their last mistake, (fur trader Andrew) Henry ordered only two men to range ahead to hunt. (Hugh) Glass couldn’t abide the restriction. He was solitary by nature, used to doing things at his own time and in his own way. Scorning the timidity of the younger men, whose courage was now sieved with the knowledge of 17 graves, he continued to leave the column when he chose. There were ripe plums to be had in the bushes crowding the draws and he intended to get some. Late one afternoon he found them. The sweet pink juice was running down his beard when something else found him. A she-grizzly, sunning her cubs on the beach, lifted her head, gave a rumbling growl and came for him. There was no time and no place to retreat. Glass had time for one shot as she reared to strike. He raised the muzzle and squeezed it off with the calm of long experience. But the monster came on. She swatted him to the ground. His shoulder was bare to the bone. With another rake of her claws he lost a chunk of thigh. Glass grabbed for his knife and plunged it into the huge weight, but it was no match for her fangs. As they grated on his bones he curled into a ball and screamed for help. The rest of the men were quickly on the scene, but they had to dispose of a yearling cub before they could get near. By the time they reached his side Glass’s shot had taken effect. They heaved the creature aside to view her victim’s mangled body. Scarcely anything was whole. Scalp, face, chest, back, shoulder, arm, hand, thigh -- all were ripped and torn. Blood bubbled from a gash in his throat with each breath. But, to their wonder, he still breathed. Knowing he could not last long, sure they were tending a corpse, they did what they could. A couple of the men gave up shirts, which, torn in strips and tied in place, began to stench the flow of blood. They had a quiet supper and bedded down for the night. Morning would be time enough to bury him. But in the morning he still breathed. They could not stay. Every hour in the same place invited attack. Henry ordered them to cut some branches for a litter. They would carry him while he lasted. It couldn’t be long. He lasted the first day and the second, groaning as his tortured body jounced with their steps, crying out in pain when they stumbled. Moving in and out of consciousness, Glass had glimpses of an occasional branch, one sweaty face and then another above his head, the hat of the man who had his feet, blue sky and blazing sun.